Royal Purple – is it the best octane booster for you? Test and Review – A 6HP gain!? I rarely use octane boosters on my cars simply because there’s no need to boost the octane on street vehicles running stock motors. Now, if you want to squeeze that extra 6 horsepower out of your turbo’d WRX, then the 5 bucks for octane booster is worth it. 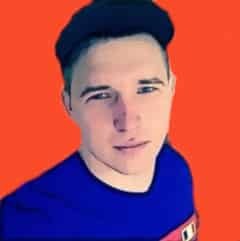 With that said, Vince did a write up of the Best Octane Boosters and Additives and I decided to expand on the topic a little! My friend Donny recently purchased a used 2015 Subaru Impreza WRX STi. It only had 10,000 miles on the odometer and is as fresh as a daisy. There were no intentions to modify the Scooby. But since this is a genuine performance car, my friend wanted to test his AWD machine on a proper dynamometer. I figured this was the best opportunity to review the Royal Purple Max-Boost Octane Booster and Stabilizer. My friend was visibly surprised. He was using the car for more than 5 days now, and he never thought about filling the tank with 98 RON fuel! “I wish I knew about this sooner. I am absolutely certain we need a dyno test since my Scooby is filled with 95 octane fuel,” my friend said. “Great! We can also test and review the Royal Purple Max-Boost Octane Booster while we’re at it. Do you know this stuff is supposed to raise the octane rating by 3? Maybe this product can raise the octane rating of the fuel to 98 RON so we can determine the true capabilities of your engine,” I added. “Cool! Let’s meet up tomorrow noon,” my friend said as we high-fived and parted ways. The sad part about the Royal Purple Max-Boost is the racing formula that is not legal for street use. I’ve heard some accounts where people used this product on their daily drivers and there was a mixed bag of results. Other people say that the product enhanced the throttle response of their ride, while others claim that it helps them get better gas mileage. Royal Purple claims that the Max-Boost Octane Booster can restore power and fuel economy, reduce power loss and engine knock, and removes gunk and deposits from the fuel injectors to improve engine performance. We met up, ate a hearty lunch, and proceeded to drive to the nearest tuning shop equipped with a Dynojet All-Wheel Drive inertia dynamometer. After a couple of runs, the STi managed to churn out 258 horsepower @ 5600 rpm and 250 foot-pounds of torque @ 2000 rpm. The car was ingesting 95 RON fuel during this time. We poured half a can of the Royal Purple Max-Boost Octane Booster in the fuel tank and allowed the engine to idle for a couple of minutes before running it again. 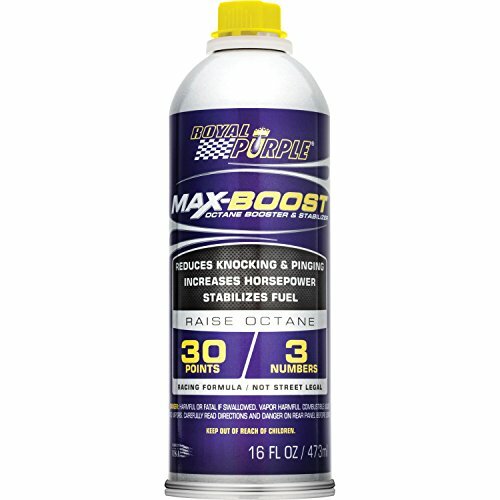 A single can of the Royal Purple Max-Boost is enough to treat up to 25 gallons of gasoline. The Subaru has a 15.9-gallon fuel tank, and the needle was pointing to the halfway mark. We didn’t want to overdo it so we only poured half a can of the octane booster. After four runs, the results were amazing. The Subaru STi was now churning out 264 horsepower @ 5600 rpm, while the torque figures also increased to 258 foot-pounds @ 2000 rpm! It’s a pity that the Royal Purple Max-Boost Octane Booster is for racing or dyno applications only. But in our testing, we were able to see that Royal Purple is one of the best octane boosters for turbocharged cars.